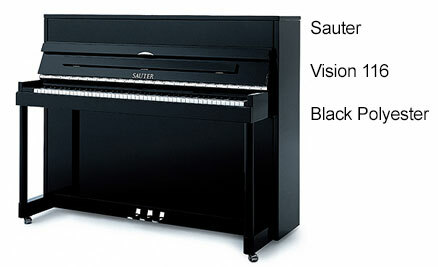 Sauter are one of only a few piano manufacturers who handcraft their instruments entirely in house using components made in Germany. 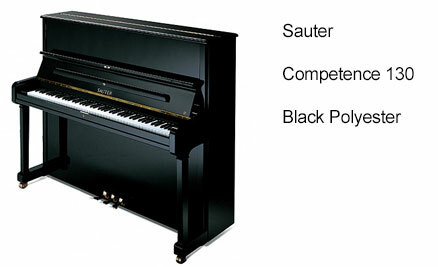 After almost 200 years Sauter remains the oldest piano maker in the world and amongst the most innovative. 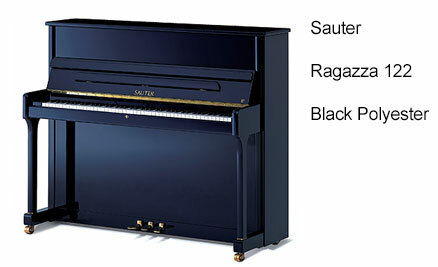 The hallmark of a Sauter piano is a brilliant, clear sound, sensitive touch and great expressivity. 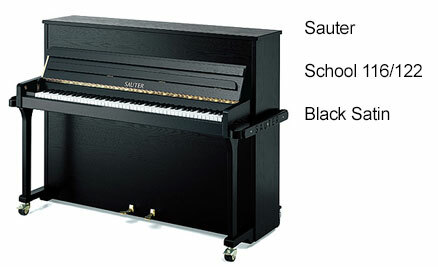 This is the smallest upright of the Sauter range but still features everything you'd expect from this German manufacturer. 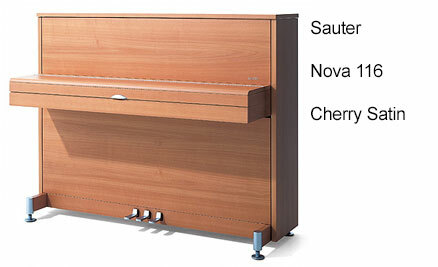 This piano houses the unique "Sauter Spherical Concavity" soundboard, made of selected mountain spruce. Similar to the Cosmo 116 but in a more contemporary designed cabinet. 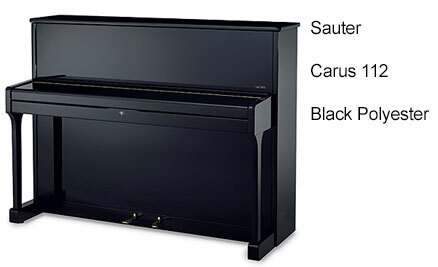 This handcrafted German piano has a unique contemporary cabinet and is available in various solid wood finishes. 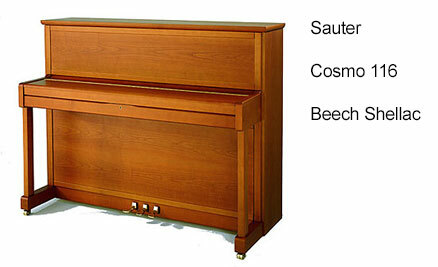 This model features the "Sauter Spherical Concavity" soundboard and Double Repetition action. Similar to the Ragazza 122 but in a more contemporary designed cabinet. These models are designed for usage in schools, churches and on stage and jazz clubs. 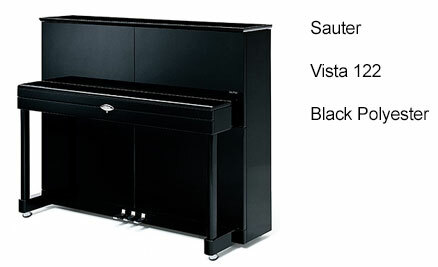 This model features Sauter's unique Double Repetition action, brass double lock castors and hydraulic fall damper.